Maine is known for having giant elusive whitetail deer. 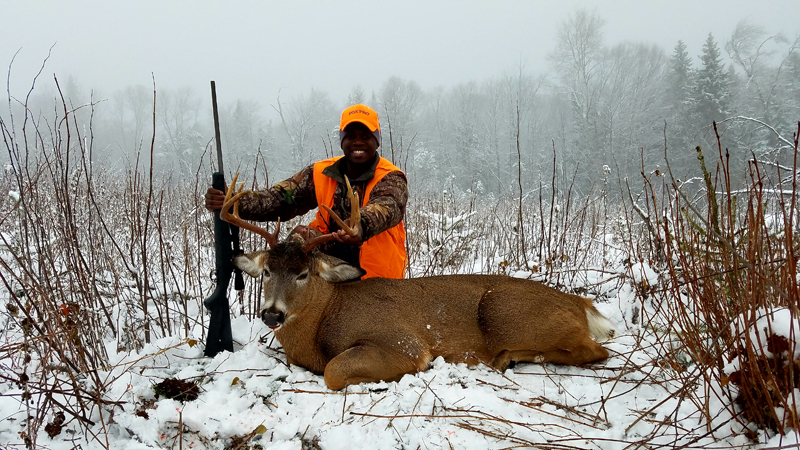 If you’re an avid hunter that can sit for days on stand without possibly seeing a deer for a few days, you may have what it takes to harvest a monster Maine whitetail. Or tracking a buck for many miles only to have to go back the next day on the track to continue tracking you may have what it takes. Fortunately, with our help you will be able to take much of the scouting and guess work out of the hunt, so you can be on deer faster. 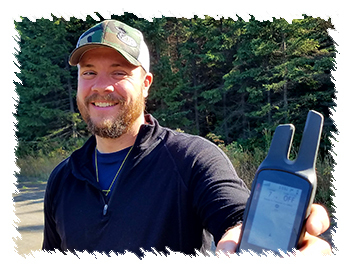 With our year-round scouting, flying, top professional Maine guides and 50 plus game cameras in strategic areas your dream hunt may not be far away. Equipment used during your hunt. 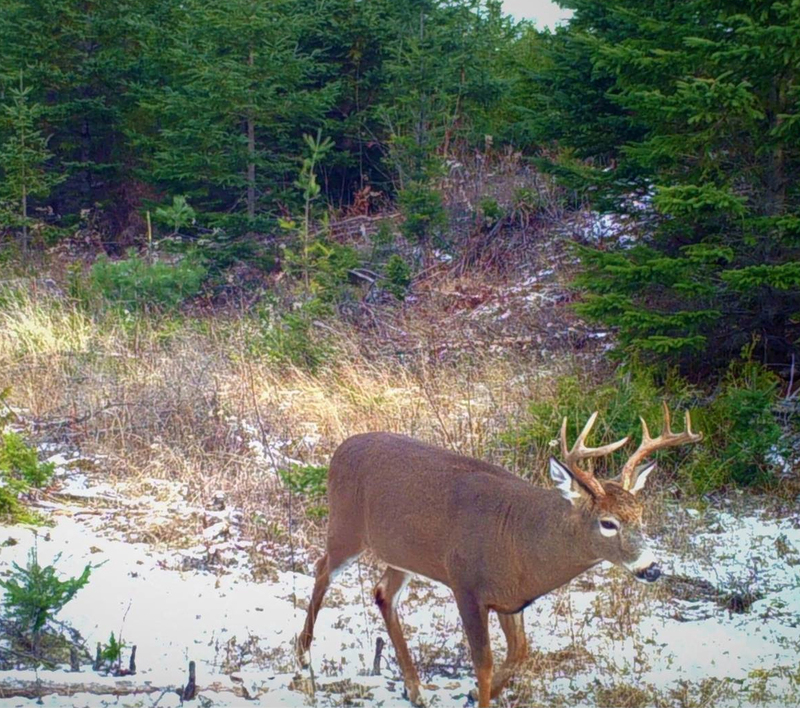 Hunting is conducted out of premium ground blinds, ladder stands, climbing stands and hang-on stands. Optional blind heaters can be available upon request. We utilize and have for use Garmin Rhino’s. We have strategic track lines and way points for your use to be able to follow through the woods while still hunting or tracking. Use the bird’s eye, aerial imagery to understand what the forest type looks like and where you are and where you’re going. These also have the ability for other units to see where you are and for you to communicate with your guide or hunting partner.